If you are looking to purchase some Pu-erh teas, this could be for one of two reasons: either you have read or heard about the countless health benefits of Pu-erh tea and its effectiveness in weight loss, or you are an advanced tea drinker looking to explore one of the most interesting and intriguing tea categories. You can buy Pu-erh tea as a loose leaf tea or as a tightly compressed leaf tea in the form of a cake, a nest, a pumpkin, a brick, etc.. In the compressed form, Pu-erh teas are more easily transported and stored, especially if you are planning to store them for many years. What makes Pu-erh tea so different from the rest of the tea categories? 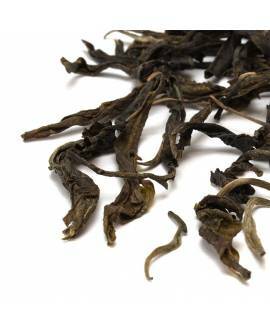 Just like fine wines, Pu-erh teas can develop exquisite flavours over time, thanks to their unique processing method. Unlike other types of tea, Pu-erh teas are not meant to oxidize by making the juices within the tea leaves react with oxygen, but to ferment slowly with the help of microbes and bacteria that are found naturally in the tea. Pu-erh teas are also called “post-fermented teas” as the process of slow fermentation is intended to continue after the tea has left the factory. The initial traditional process of Pu-erh tea manufacture is very similar to that of the manufacture of green tea, but after a short panning and rolling, the tea leaves are spread in the sunshine to dry. This tea is called “maocha” (rough tea) and is the base tea for making all Pu-erhs. The maocha is then steamed and compressed into what is known as Sheng Pu-erh (Raw Pu-erh). This is usually flat and round in cake form, and is called a Pu-erh tea cake. “Sheng” mean “raw” as this tea will still have some brisk, grassy, and slightly bitter notes of a green tea, but these will mellow over time, bringing more fruitiness and sweetness to the flavour profile of the Sheng Pu-erh tea. 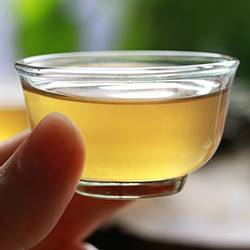 Many tea drinkers prefer young fresh Pu-erh tea cakes to the aged ones, and the taste that different drinkers like is very much a matter of personal preferences. The most interesting aspect of Pu-erh tea drinking is that it can be stored on your bookshelf and you will see how the flavour changes naturally every year or every six months, and how the new tasting notes replace or add to the old ones, making the drinking of Pu-erh a unique tasting experience. For those who do not want to wait for so many years until their Pu-erh tea matures naturally, a new method of manufacturing Pu-erh was developed towards the end of the 20th century. This causes the Pu-erh tea to ferment much more quickly so that, in just a couple of months, it reaches a level of fermentation that traditional raw Pu-erh will only reach in 10 to 20 years. Although it cannot and does not reproduce exactly the same flavours as in the Sheng Pu-erh, it is still a very sought-after type of Pu-erh tea that can boast a more accessible price range. This type of Pu-erh is called Shu Pu-erh. “Shu” means “ripe” or “cooked” and it is well-known for its earthy and woody flavours. The production of Shu Pu-erh differs radically from that of a Sheng Pu-erh and consists in a wet-piling method - the rough loose leaf base tea (maocha) is piled, sprayed with water and covered with cloth or plastic (a little like a compost heap) to ferment in hot and humid conditions within the premises of a tea factory. Although several Chinese provinces are famous for their high quality teas, all Pu-erh teas are produced in the same southern province of China – Yunnan. Historically this is where tea originated thousands of years ago, and the first tea trees (Camellia sinensis var. assamica) were growing wild in the dense Yunnan rainforest until they were discovered by the indigenous tribes. 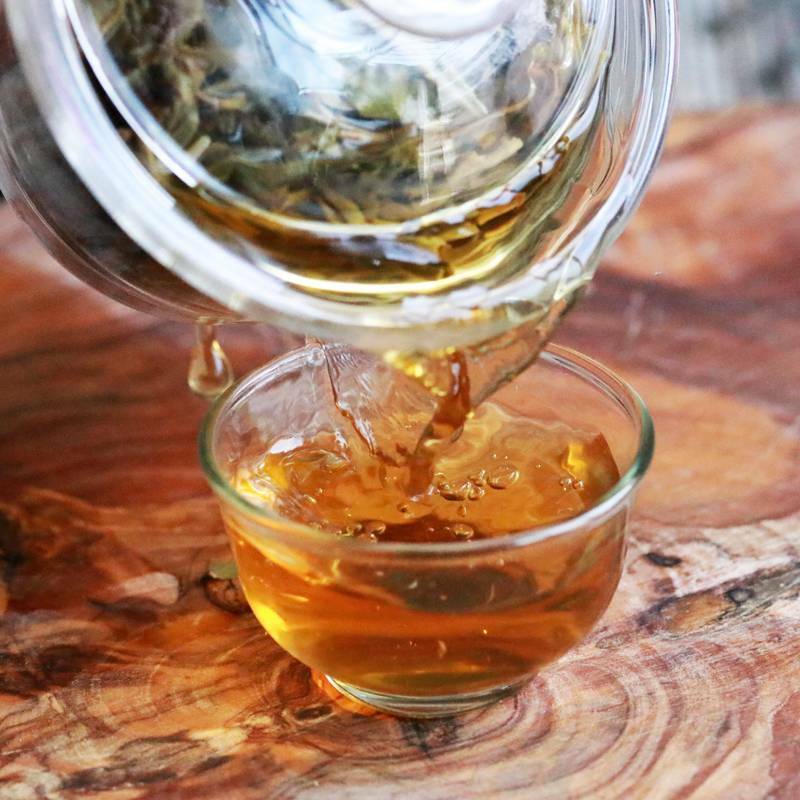 The highest quality Yunnan tea is still produced from the wild tea trees that grow naturally in the forests of the Yunnan Mountains. Since the Yunnan big leaf tea variety, Camellia sinensis var. assamica, is native to the region, it was always used to make Pu-erh tea and is still used today for pu-erh tea production. Pu-erh tea has become the most famous tea category amongst tea connoisseurs due to its cultural significance and local traditional roots that lead to the Ancient China. All our Pu-erh teas are carefully packed into sealed bags to preserve freshness, quality, and therefore the health benefits of our loose teas. You can order a Pu-erh tea sample of 5g or chose between packets of 25g, 50g, 100g or 250 g. The higher the quantity, the bigger the discount you will receive for your loose leaf tea purchase. This is because the packaging cost is very high, so the larger the quantity of tea you buy, the more money you will save on packaging.